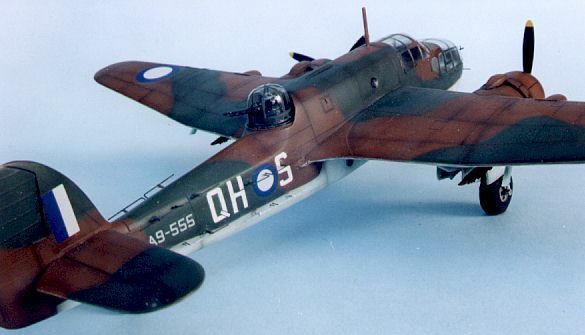 For a considerable time the Australian Department of Defence has striven to obtain sufficient information from which to compile a complete history of the camouflage of the Royal Australian Air Force aircraft during World War Two (WWII). This aim has been hampered by the loss of appropriate drawings, which feature the design, and colour schemes of the earlier types of aircraft. Consequently, it has not been possible to compile such a history. RAAF colour schemes were officially promulgated by “Aircraft General Instructions”, issued to units as a guide and were accompanied by appropriate drawings. Camouflage patterns and colours were determined by Headquarters in Melbourne, as were squadron codes, their colour and application. Individual squadron commanding officers had the authority to allocate individual aircraft code letters and other squadron markings. This situation continues today, thus explaining why it is possible to see, for example, a 76 Squadron PC-9 painted in low visibility greys carrying a high visibility squadron fin flash! The positioning of the code letters was also left to the squadrons to sort out. It must be assumed that as the aircraft became obsolete vital drawings were destroyed thus rendering the instructions incomplete. As a result it is not possible to issue a complete list of official instructions, however, the following in a brief outline which contains the main available essentials. It must be understood that Aircraft General Instructions covering colour schemes applied, in reality, to locally produced aircraft and those other aircraft that had been repainted as part of a major overhaul. The specification of Earth Brown and Foliage Green may not necessarily have been met in the case of aircraft procured overseas, either as a result of fleeing from the advancing enemy, being purchased by the various Allied purchasing commissions, being supplied under Lend-Lease agreements or contracted directly from manufacturers. This gives rise to the prospect of a wide variation in colours and colour schemes manifesting itself. On the 26th of May 1944, it was directed that all Fighter, Fighter-Bomber, Medium and Heavy Bomber aircraft were to be delivered and employed on operations uncamouflaged. Such was the state of Allied air superiority that camouflage was no longer considered necessary. 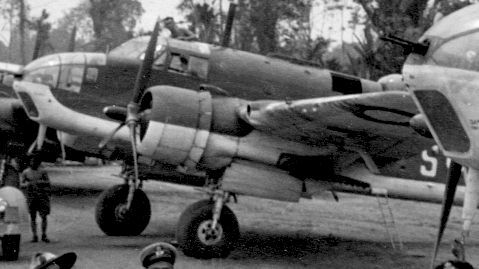 This is not to say that all operational aircraft were immediately stripped back to bare metal or delivered uncamouflaged. In fact it was to be mid 1945 before the first effects of this directive were to be realised when the RAAF took delivery of the first of its P-51 Mustangs. Attack, Transport, Communication, General Reconnaissance/Bombing, Tactical Reconnaissance, Air Sea Rescue and Target Towing aircraft were to be painted Foliage Green. Night flying aircraft were to be painted “Night”. Training aircraft were to be painted Yellow and Photo-Reconnaissance aircraft were to be painted PRU Blue. It is interesting to note that until May 1944, Aircraft General Instructions were not accompanied by official drawings. Presumably this meant that both squadrons and aircraft depots relied on manufacturers’ and non-official locally produced drawings. Recently there has been some discussion in the "Plane Talking" discussion group here on HyperScale regarding the colour match of K3/177 Foliage Green. This discussion almost mirrored what went on in the newsgroup rec.models.scale, a few years back. Tempers at times got a little frayed among those who were following this thread in the newsgroup and several individuals thought that they were exclusively correct. The problem was that many of those who thought only their humble opinion was right were not necessarily those who were up to speed on things RAAF, or had local knowledge of such. Even Australian modellers argued heatedly about the true identity of Foliage Green. Foliage Green turns out to be markedly similar to the US Army Air Corps colour, Medium Green 42, which was first listed by the Air Corps in a specification bulletin of 22 October 1940. "One of the chief items studied in the development of permanent camouflage finishes for the Air Corps, under Study No. 42, was suitable matt shades of colour for the camouflage. Tests were run on various shades, using water paint and other types of lacquer and enamel finishes then being developed simultaneously. The results of Study No. 42 culminated in the issue of the Air Corps bulletin No 41, dated September 16, 1940 (one day after the decisive combat between the Royal Air Force and the Luftwaffe in the Battle of Britain). Entitled "Color Card for Camofulage Finishes", it contained eight color chips, each one inch by three inches (2.54 x 7.62 cm) in size, The new colours were: Dark Olive Drab No. 41, Medium Green No. 42, Neutral Gray No. 43, Black No. 44, Insignia Red No. 45, Insignia White No. 46, Insignia Blue No. 47, and identification Yellow No. 48". Less than a month later Army Air Forces Bulletin No. 41-A was issued, introducing Sand No. 49. In today’s modern paints FS 34092 makes an approximate, but not exact match For Foliage Green, which it appears was a local attempt to copy the American colour, Medium Green 42. What brought this about? It is the authors’ belief that as the RAAF began to receive aircraft from America in addition to those arriving from Britain, it became apparent that the American colours, particularly the green, matched the Australian vegetation and climate better. The obvious answer was to get local paint manufacturers to replicate this colour so that locally produced and overhauled aircraft would blend better into the Australia background. It is important to remember that when modellers toss around phrases like "the FS match for K3/169 is 21136" or "K3/185 Yellow is FS 23538", they are not being totally correct in their application of the various standards or their language. Unfortunately there is a considerable bloc within the modelling community that fervently believes every colour ever created and used on military aircraft is covered by a Federal Standard number. This is simply not true because the Federal Standard is only the latest in a line of standards that have developed through the years. In reality, the current US Federal Standard 595 is a guide for contractors supplying materiel to the US Government. This situation was the same in all countries, which developed standards for their use of colours. There is also a considerable school of thought that believes the RAAF suddenly created technical instructions and orders regarding aircraft finishes at the commencement of WWII. This is not the case, as the RAAF copied what others had done before them, most notably the RAF. The advent of WWII caused a marked variation in the aircraft finishes seen in RAAF service. This came about in a default mode because numerous aircraft that the RAAF obtained during WWII were purchased or supplied under the terms of British or American contracts. Some were supplied under Lend – Lease agreements and others were purchased outright by Australia or a third party (for example, Britain), yet others were off-loaded in Australia when the country of destination had surrendered to Axis forces. Not being an expert nor a scientist a “definitive” ruling on the subject of the “correct” colour of RAAF K3/177 Foliage Green cannot be given. However, having spent many years researching the camouflage and markings off aircraft, the following opinion is based on a wartime colour chart with paint chips, issued by one of the RAAF’s wartime suppliers, Spartan Paints, and samples recovered from various RAAF aircraft, including a Beaufort and Beaufighter. Various sources have given colour “matches” of RAAF colours to FS595. This is an imprecise art at best. No RAAF colour is a precise match to an FS equivalent. The FS system is not designed to match colours but to define a range of colours for use by the customer. To quote FS equivalents for US ANA wartime standards is an approximation; eg Medium Green is not precisely FS 34092. Modellers (and paint manufacturers) too often fall into the trap of trying to exactly match an FS equivalent when this in turn is merely an approximation of the original colour. Having said all this let's now attempt to give some approximate matches for Foliage Green. The colour in the Spartan chart is close to FS 24096 but is a little sharper or greener, but is not as green as the oft quoted FS 24092. The samples from aircraft vary from this to approximately FS 24079 on Beaufort and Beaufighter aircraft. Obviously all these samples (including the colour chart) will have changed with the passage of time and are probably from different suppliers. The moral is don’t be too pedantic in your choice of colour. It is believed that this applies not only to RAAF aircraft but to other airforces as well. Acceptance reports on paint show a considerable variation in colour even in different batches by the same supplier. Incidentally the Foliage Green chip in the Spartan chart is quite close to the Medium Green chip in Jay F. Dial’s United States Camouflage WWII published quite a few years ago. Finally, the K3 colours are smooth with a semi-matt finish. A report by 1 APU on the effect of paint finishes on the performance of a P-40, points out the much smoother finish of the Australian (and British) paints compared to their US counterparts. Hopefully this helps a little, but it is left to the modeller to decide which of his favourite paints he wishes to use. Following on from the words above, the authors have always tended to call out the FS numbers in the various tables found in the Red Roo Models books that related to RAAF K3 specification paints with the figure two (2) prefix. This is a deliberate policy to emphasise that the locally produced Australian paints dried to a soft sheen when applied to aircraft. But, what of the colour itself? The RAAF specified Foliage Green as early as 3 October 1940. Almost thirty years ago Geoffrey Pentland proposed that there were several versions of Foliage Green, ranging from that closely matching the American Medium Green 42 to a colour that might appear to be almost black. Today, having searched the National Archives of Australia holdings dealing with RAAF wartime correspondence, it is apparent that the RAAF was having considerable trouble in getting what it was asking for with regard to paints and Foliage Green and Cockpit Green in particular. The paint samples submitted by the paint manufacturers were failing and common complaints were that the finish was too glossy, to dull, too dark or broke down too quickly! Despite specification K5 existing there was variation in the finished product. A scan of an original Aeronautical Supply Company Spartan Camouflage Coverings colour chart has been included to help illustrate this discussion paper. Bearing in mind all the vagaries of the modern computer, the internet, colour matching process, software and just plain old age and exposure to light, the scan throws up some interesting things. The first is that the colour chart specifically states that colours may vary following exposure to sun and weather. Then the writer goes further, explaining that the colours were applied after thinning with equal parts Normal Thinner by spraying and two coats were needed to ensure complete coverage. Colour chips were conveniently grouped, with the greens being together and near the greys and the blues being similarly grouped. Here we see a marked similarity between K3/216 Dark Green and K3/177 Foliage Green. Bear in mind that this colour chart is from one manufacturer. What would the others be like? It would certainly be interesting to see and original B.A.L.M. paints colour chart for same specification and period. This brings to mind a heated discussion that took place with noted Melbourne modeller Fred Harris and others, way back in the early 1980s during a club meeting. The discussion had centered on Foliage Green and Fred produced a piece of Wirraway fairing known to be finished in Foliage Green, which he took into the front of the shop. He popped the lid on a tin of Humbrol RAF Dark Green and painted some onto the fairing - it matched perfectly! That was an eye opener to the possibility that there could be variations in a colour despite the official specifications. Finally, a scan of the RAF colour chart to be found in the RAF Museum Series, British Aviation Colours of World War Two, has been included. This book was published way back in 1976. Compare these colours with those on the Spartan colour chart. This little book is very worthwhile having, although it is suspected that any modeller wanting a copy these days needs to spend considerable time scouring antiquarian book shops to find a copy. What do the authors use for Foliage Green? Generally, any model paint that is around the FS 34092 - FS 34096 region. So that includes things like Model Master, Polly S, those non-descript tins of real Humbrol paint lurking in the back of the paint draw. Sometimes, when feeling really nasty a few drops of black are added, or even Humbrol FS 34079 Dark Green is used straight from the tin!! Just like the RAAF the authors want to keep those who come after guessing. F.J. Green, Permanent Secretary of the Department of Defence, correspondence dated 11 February 1969 to D. Loughhead, on the history of RAAF camouflage.